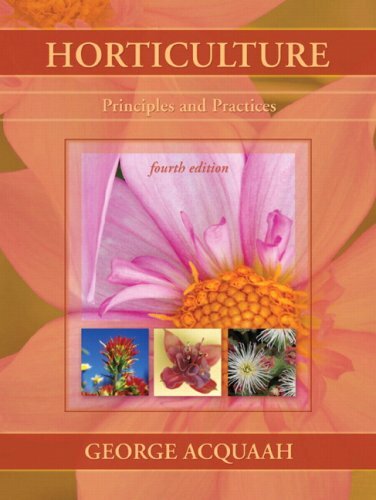 Principles of Horticulture is an excellent introduction to the study of all aspects of the subject. 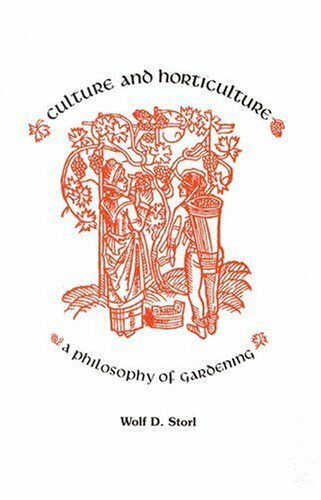 Written in an accessible and readable style it explains the principles that underlie the cultivation of flowers, fruits, vegetables, turf, ornamental planting in outdoors and in protected culture; commercially as well as in the garden and on the allotment. 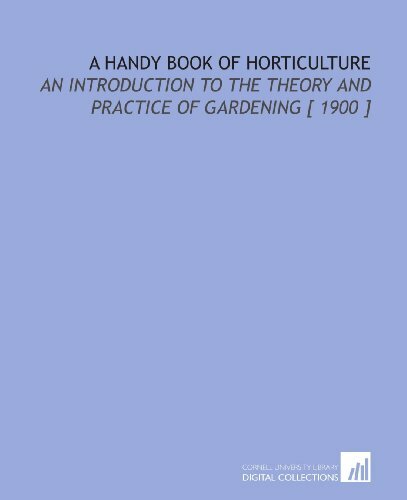 Readers ranging from first time students at the beginning of their careers in horticulture through to seasoned gardeners with many years of practical experience will find it essential reading. 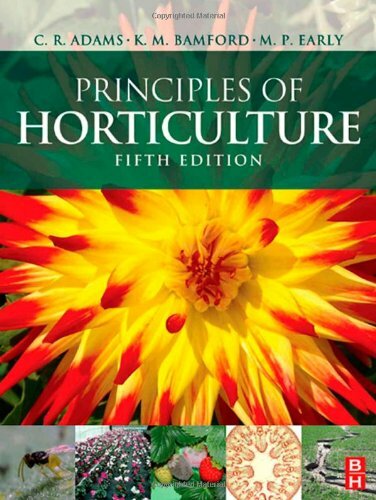 This fifth edition has been restructured to bring it in to line with the most recent RHS syllabus, adding new material on the basis of science for horticulturists. The book contains beginning of chapter summaries, highlighted definitions and key points, and end of chapter test your learning questions. Each chapter ends with references for further reading. 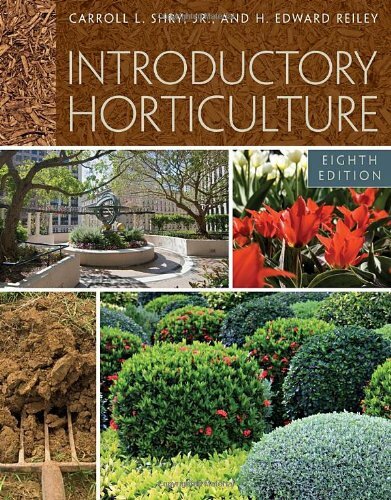 Structured to meet the needs of a wide variety of courses in horticulture at levels 2 and 3, this book is particularly suitable for the RHS Certificate, Advanced Certificate and Diploma in Horticulture, BTEC National and the City and Guilds/NPTC National and Advanced National Certificate and Diploma courses. It also supports those studying plant science and related modules for 'A' Level Biology and the Diploma in Environmental and Land-based studies. Charles Adams BSc (Agric) Hons, Dip Applied Educ., Fellow Inst Horticulture, is a lecturer at Capel Manor College and University of Hertfordshire, an external examiner in horticulture, and also a member of the Royal Horticultural Society Qualifications Advisory Committee. Katherine Bamford BSc (Agric Sci) Hons, Cert Ed., formerly lecturer in horticulture science at Oaklands College, St. Albans, works in the commercial sector with herbs, organic vegetables and hardy plants. Mike Early MSc, BSc Hons, DTA, Cert Ed., formerly a lecturer in horticulture science at Oaklands College, St. Albans, now works as a landscape gardner. Did you know that plants and plant products can be used to improve people’s cognitive, physical, psychological, and social functioning? Well, they can, and Horticulture as Therapy is the book to show you how! 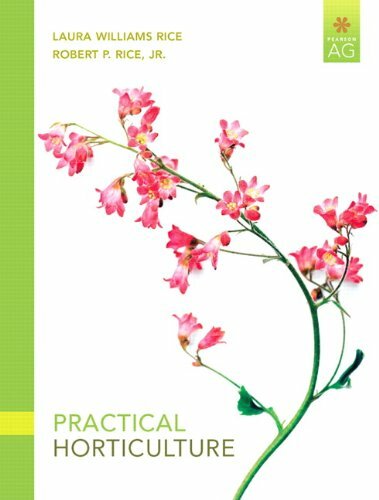 If you are already familiar with the healing potential of horticultural therapy, or even practice horticultural therapy, this book will help you enrich your knowledge and skills and revitalize your practice. You will learn how horticultural therapy can be used with different populations in a variety of settings, what resources are available, effective treatment strategies, and the concepts behind horticultural treatment. Horticulture as Therapy establishes, integrates, and communicates a foundation of knowledge for horticultural therapists, other therapists, horticulturists, students, research scientists, gardeners, and others interested in this special and unique kind of therapy. By reading Horticulture as Therapy, you will see how you can make a difference in the health and well-being of so many people, today and tomorrow. 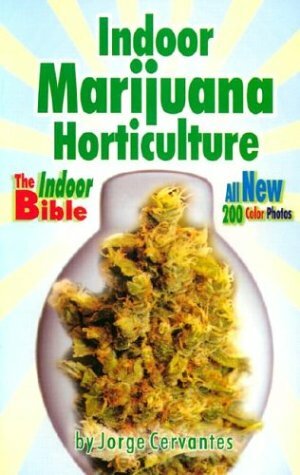 The new edition is completely rewritten, beginning to end.The classic "Indoor Bible" puts all the latest information on indoor cultivation at your fingertips.Learn how growers maximize yields, harvesting more than a pound of connoisseur quality bud per 1000w bulb every two months.Includes precise color drawings and photos of numerous plant problems, a troubleshooting chart, four case studies, weekly checklist, calendar, glossary and index. A MUST HAVE FOR INDOOR GROWERS! 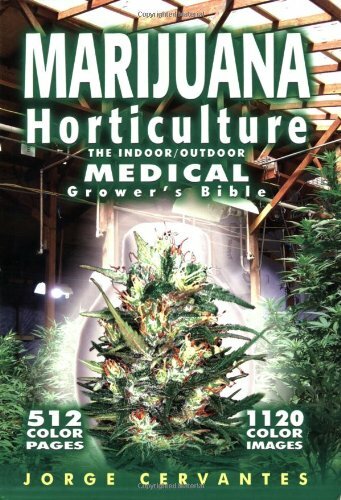 This book has everything you could need to know about indoor growing! This is a must for indoor growers!! I just wanted to reply to J. Schachter's "The Critic" review of this book, which is spotlighted above.Not only did he omit some crucial info about Jorge's book, but his own statements have been proven false this year. We now know the US government IS tracking "our every click" on the Internet.He also omitted Jorge's good suggestion that all marijuana growers using the Internet to post about their grows should use a PROXY SERVER.That is how he says to avoid big brother looking over your shoulder, not just getting a hotmail account. So Jorge was NOT wrong in his statements, but it is indeed this "critic" (who has never reviewed anything else on Amazon.com), who is wrong. I am an IT professional as well and can say that Jorge's statements regarding the Internet DO BELONG in his book (since so many growers use the Internet to exchange information), and are good tips.It seems the "critic" has an axe to grind since he couldn't be bothered to discuss the main content of the book which is about growing marijuana. okay all the typos and grammatical errors got to me too. this book has a lot of good information BUT I too, found incorrect information.Cervantes also contradicts himself a lot because in his articles in high times grow magazine, he says things that are total opposites from the book. i prefer his articles to this book BUT it did have some information that i found helpful. there has to be better stuff out there though. This book is so well-written and clear on every point.Wolf Storl clarifies in clear detail multiple points about Biodynamic gardening, which, if presented by many others could have have just come across as confusing or hocus-pocus.The subject is difficult to explain, but not for Wolf Storl.His points are all well researched and well supported with good references and extremely well written, giving the reader comfort in the clarity and authenticity of what they're reading. For anyone wanting more knowledge about natural processes in their garden or on the farm and how to utilize them to maximum effect, Wolf Storl's book really is the answer.Read this book and with good solid work produce bumper harvests of superb vegetables and farm products which most people will never have experienced before. If you love to grow plants you'll love this book...i personally couldn't put it down...it actually changed my way of life and opened my eyes to the infinite dimensions ascribed to a simple concept...this is definitely apiece of the puzzle...and a solution for a poorly nourished society. Gardening - spiritual and practical - a unique view. I was VERY PLEASED at the price that Amazon.com offered this textbook as they are unusually expensive. Am using it for a college course and it is very helpful. Through the years, horticultural therapy (HT) has evolved from its use only by volunteer gardeners to become a recognized and respected therapeutic modality conducted by trained, registered professionals. 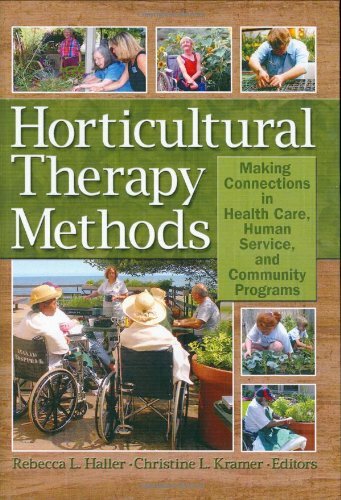 Horticultural Therapy Methods: Making Connections in Health Care, Human Service, and Community Programs details the basics of the growing, time-proven practice of therapy through gardening. Experienced practitioners and educators discuss horticultural therapy theory, application, and the impressive positive impact it has on clients. Beginners are educated on key issues and given the tools needed to effectively treat clients. Horticultural therapy uses widely accepted treatment methods in a calming, creative program framework. Horticultural Therapy Methods challenges pre-conceived notions of the value of this treatment by describing the processes, techniques for practice, and the rationale for their use. This manual not only can be used as a reference and a guide for students but can also be used by educators and those conducting horticultural therapy to help construct effective treatment programs. Health care and human service professionals will find this resource a powerful ally in the therapy, treatment, and education of inmates, residents, patients, trainees, and students. 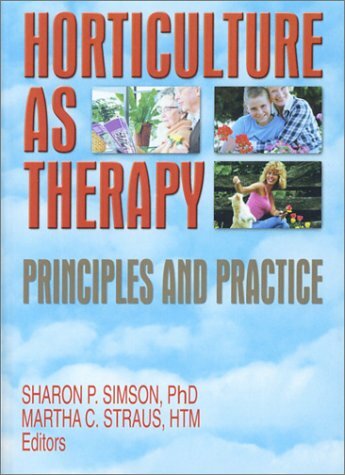 Horticultural Therapy Methods is a valuable addition to the literature and is crucial for all levels of horticultural therapists, occupational therapists, therapeutic recreational specialists, social workers, special educators, community horticulture leaders, horticulturists, mental health professionals of all types, and students. This book is working well for my high school senior who is using it as part of his homeschooling. I was hoping to purchase a college level text but found out after buying that this was a very simple High School text. 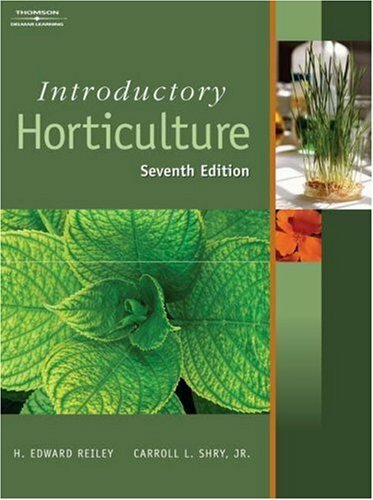 For anyone with a (hard) science degree, "Introductory Horticulture" will read in an unsatisfying way. I strongly recommend "The Nature and Properties of Soils" By Brady and Weil and hope to find a book of this caliber for Horticulture and plant sciences. 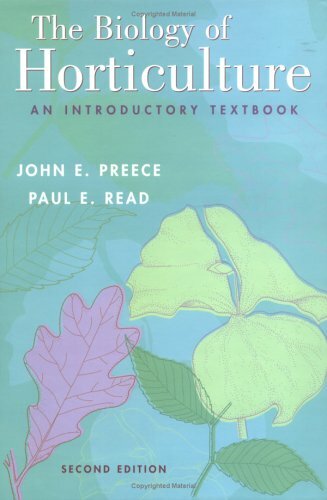 Plant biology for the beginning horticulture student.A broad survey of topics a horticulture student should know something about, including genetics, plant anatomy and biology, botanical terminology, basic techniques of propagation and culture, etc.If you have studied botany, plant physiology and general biology, you don't need this book.I work in landscaping and found the book short on practical information that is specific to horticulture. * Benefit from the experience of an international expert who has grown and sold millions of plants. * Know which plants are hot! * Learn important business and financial pointers. * Special details about how to make and sell expensive potting soil - a real gold mine! 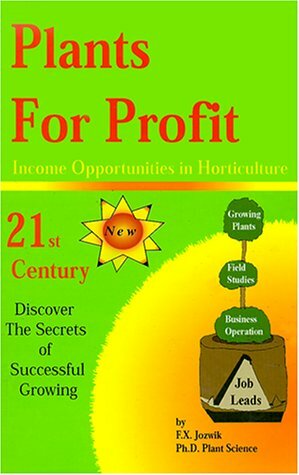 * How to grow trees, plants, and flowers profitably. * Sources for additional information. * How to find a good job in horticulture - learn the ropes while you earn. * Fun-filled field trip outlines to help you discover important real-world facts." A lot of growing info and what does not work, but some good ideas make this book worth while reading. Wish it had more on the art of selling the plants. Bought Secrets to a Successful Greenhouse and Business, after this one and do highly reccomend it. Love my greenhouse so much! This comprehensive introduction to the emerging discipline of sustainable horticulture provides readers with the foundations of horticultural science that underlie all forms of horticulture from conventional through sustainable to organic. 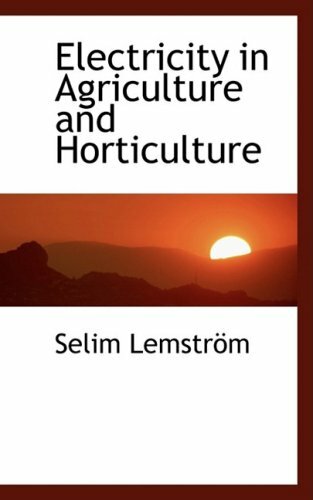 The book leads readers through practices and production, and provides the necessary information to support a more sustainable and environmentally friendly horticulture. 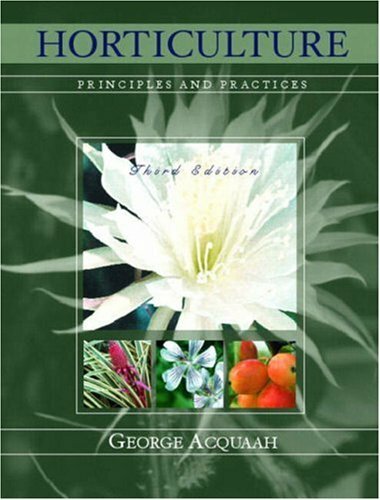 The volume explains moving to sustainability, provides an introduction to horticultural science and horticultural practices including plant propagation, crop breeding, biotechnology, energy sustainability and sustaining soil, water and environment, home horticulture basics, integrated pest management and an introduction to horticultural crops. For horticultural professionals, policy makers, consumers and future farmers. 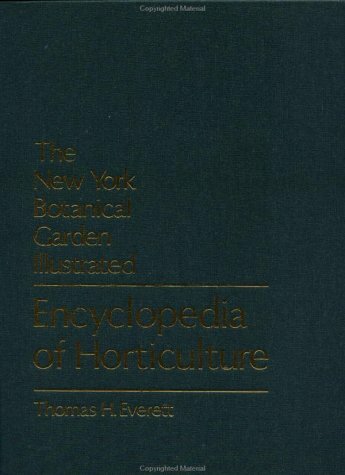 I have been through every horticultural encylopedia available at university libraries and public libraries, and this one is by far the most complete, accurate, practical and interesting. Photographs of many, manyplants, full details of expert growing methods, history of origin ofspecies, varieties and cultivars; origin of theLatin botanical names andcommon names, common names in many languages, great general information onhorticulture useful to any gardener, and tremendous detail on growingcommon food crops, foliage plants and more. Gardens of the Gods reveals the symbolic language of garden design, exploring the gardens of China with their moon gates and immortal rocks, the Zen gardens of Japan, and the paradise gardens of Islam. It even looks at Renaissance Italy with its richly mythological imagery, the landscaped parks of England, and the gardens of New Harmony in the US. Striking modern examples include the Tarot Garden of the sculptress Niki de Saint Phalle. 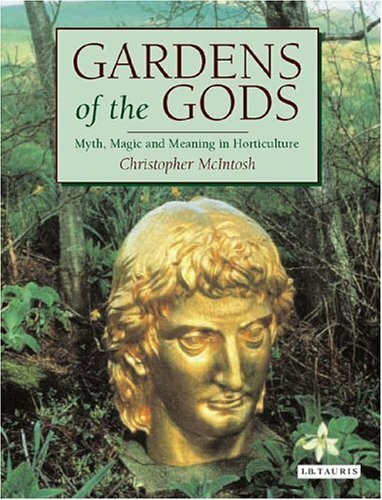 Beautifully illustrated, Gardens of the Gods also includes a chapter with suggestions for creating your own "garden of meaning" and a selected catalog of plants with symbolic or mythological associations. Il libro è buono e ben strutturato, con una eccessiva inclinazione, forse, al misticismo e all'esoterismo. E' uno studio ben organizzato, ma non specialistico: l'autore è un dilettante, non un professore o uno specialista. Updated with timely coverage of hot environmental topics. The latest information on horticultural science for indoor and outdoor plants. 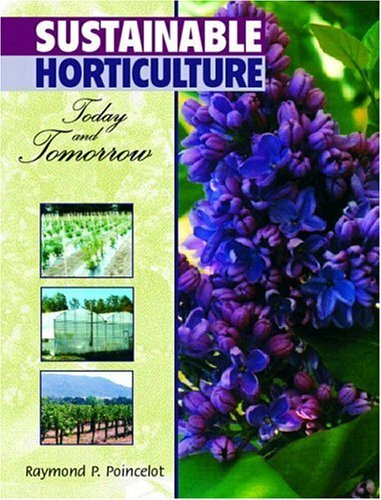 A new chapter on careers in horticulture has been added. 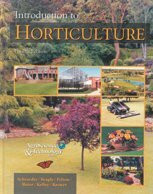 This is a great resource for anyone interested in horticulture! This book was in perfect condition and was delivered in a timely fashion (although I ordered it late it was here on time for class).I am very pleased. I need to have the book delivered in about a week and it took almost a month.Why?Price wasn't all that great compared to the college bookstore but since they were out I need to get the book from this vender and I needed it fast.I got the book but missed an exam because it took soooo looooooong to get it. I would recommend this to anyone looking to get into Horticulture, Landscape Design or their own backyard with a greater depth of knowledge in the science of plants and their care.